There was this great video on Fox Business the other day about helicopter parenting. Helicopter parenting, for those who don’t know, is the intrusive parenting technique that stifles a child’s self-reliance. With the baby boomers, it has become a widespread problem full of clichés. As many of you might know, I offer life coaching to new parents. Perhaps no demographic is more nervous than new parents: will we mess up our child? Will the child love us? How will we keep our sanity through all those sleepless nights? I will assuage all those fears, and instill both the confidence and the skill that is required for successful parenting. And trust me, you won’t be helicopter parents under my watch. What makes you great parents starts out by identifying what makes you great people. Give my office a call. Everyone wants to be a better person. Everyone comes to a life coach especially wanting to be a better person. But we don’t necessarily clarify what we mean when we say “better person.” A better person could mean so many different things, from someone who is more moral to someone achieving more excellence on a consistent basis. We all want to be a better version of ourselves, and many of us need a life coach to sift through the obstacles and help you realize that potential. But before I do that, I help you clarify what it is you exactly mean when you say those seven key words. People need heroes. We always need someone to model and contrast our actions off of. For many people, this takes the form of Jesus, Muhammad, Abraham, or any other religious figure. For others, it could be a movie star or a writer. For even more, it could be a parent or a sibling. But to go through life without having an external source makes interpreting your situation and tracking your progress much harder. One cannot assert one’s identity in a vacuum, or create from scratch a code of behavior. It creates a great stress when we’re left to our own behavioral devices. Make life easier, and choose a hero. So, who is your hero? Please use the comment box below to tell us who inspires you in your life. 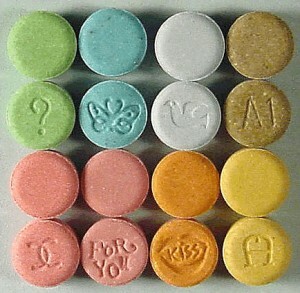 MDMA, or “Mollie”, is a crystalized powder, and is considered to be chemically pure version of the popular rave drug, Ecstasy. MDMA’s effects include excessive euphoria, lack of inhibitions and anxiety, heightened sense of intimacy with surrounding people, and a mild degree of psychedelic. Sounds like a fun trip, right? Well like most drugs, the ‘come down’ and long term mental and physical damage are incredibly detrimental, outweighing the temporary excitement of the high. The short term effects of usage include paranoia, anxiety, renal failure, hemorrhaging, hyperthermia resulting in organ failure, severe depression, irritability, fatigue, emotional sensitivity, lack of focus/ motivation/ drive, restlessness, disruption of sleep, nausea, jaw clenching, fever symptoms, heart failure, kidney failure, arrhythmia, high blood pressure, panic attacks, faintness, seizures, and in some cases, death.